More Memory Games! 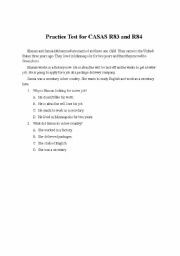 This worksheet is a group of five pre-done Memory Games for the past tense simple. 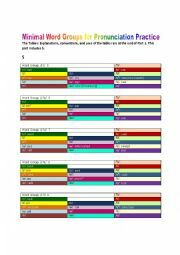 As I did with the Memory Games - Opposites, I have color-coded the simple form with the past tense and included a blank form for you to use. 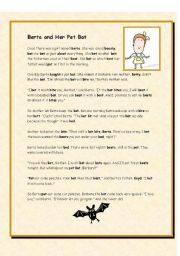 I copied my own set of directions from the Memory Games - Opposites. I hope you enjoy the new set! 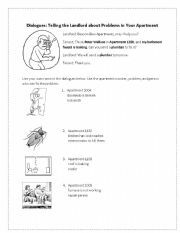 This is a worksheet of dialogues designed for adults to practice reporting problems to a landlord. 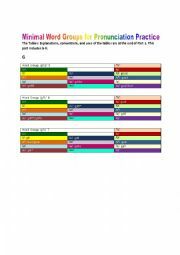 The worksheet is in black and white for easy photocopying and is fully editable. I hope this will help other teachers in English-speaking countries with students in rental units. It may also help homeowners know whom to call in emergencies. Thanks! 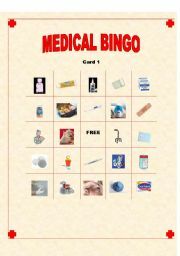 This is a Bingo card designed to review different medicines, first aid supplies, and medical devices. Sorry, but I didn�t have space for more. However, I did include a key and a blank card that you can copy and paste into. I�ve seen Bingo with body parts, but not with important medical items. I hope this fills a gap in your health unit! 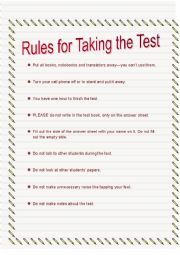 This is a simple set of rules for students to follow when they need to take a standardized test. 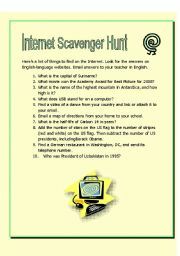 My students take CASAS, but most of the instructions are good for any standardized test. It�s fully editable, so you can easily change the time limit, for example.